Duke Energy unveils $1.1 billion plan to end coal era in Asheville, N.C.
CHARLOTTE, N.C. - Duke Energy today announced plans to retire its Asheville, N.C., coal-fired power plant in four to five years and modernize its generation and transmission system in western North Carolina and upstate South Carolina  significantly reducing environmental impacts, improving system reliability and minimizing long-term costs to customers. "We've developed an innovative plan that's a win-win-win' for consumers, the environment and the economy," said Lloyd Yates, Duke Energy executive vice president of market solutions and president of the Carolinas region. "With the availability and near record low cost of natural gas, this comprehensive project will transform the energy system in the region to meet the growing needs of our customers and significantly reduce emissions and water use. We're eager to move ahead quickly on these projects and complete the key components of the plan by the end of 2019." The plan's major components include retiring the 376-megawatt Asheville coal power plant, investing approximately $750 million to build a 650-megawatt natural gas-fired power plant, and installing solar generation at the site  one of the first combinations of its kind. 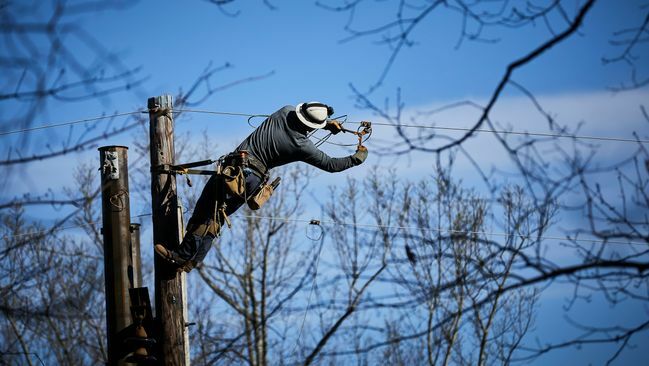 The plan includes investing approximately $320 million to build a transmission substation near Campobello, S.C., and connect it to the Asheville power plant with a new approximately 40-mile, 230-kiloVolt (kV) transmission line. It also includes upgrading and rebuilding additional electrical infrastructure such as transmission lines and distribution substations. Electricity demand in Duke Energy Progress' Asheville service area has doubled over the last four decades. The region currently must import about 400 megawatts of power during peak demand periods to ensure system reliability. The region's power demand is also forecast to grow by about 15 percent over the next decade. In addition, Duke Energy's Asheville coal plant is one of the company's few "must run" power plants, meaning it must operate to maintain reliability, even when it's not economical. This results in higher fuel costs that are passed on to North Carolina and South Carolina customers each month in their electric bills. The new gas power plant will be able to rapidly ramp up and down to meet the region's voltage and power demand needs as they change throughout the day. The gas plant's combined-cycle technology will capture and convert exhaust heat into additional electricity, and is considered one of the most efficient power plant designs available. At today's natural gas prices, the gas plant would be about 35 percent less expensive to operate than the existing coal plant, saving customers money. Sulfur dioxide is estimated to be reduced by approximately 90 to 95 percent. Nitrogen oxide is estimated to be reduced by approximately 35 percent. 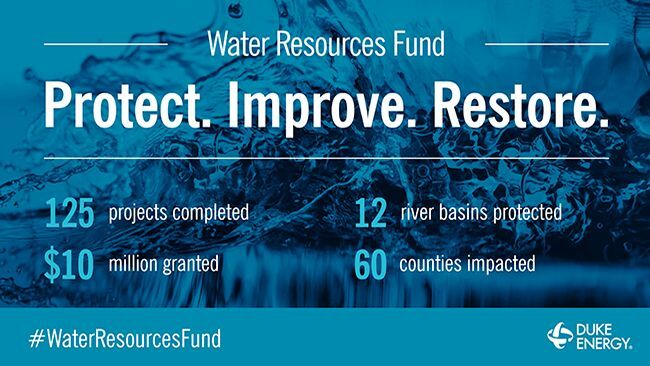 Water withdrawals are estimated to be reduced by 97 percent. Water discharges are estimated to be reduced by 50 percent. Carbon dioxide emissions will be reduced by about 60 percent, on a per-megawatt hour basis, due to the efficiency of the new gas plant and the fact that natural gas burns more cleanly than coal. The new gas plant also will help reduce carbon dioxide emissions across Duke Energy's Carolinas power plant fleet. Closing the Asheville coal plant and building a gas plant will make it unnecessary to invest in 126 megawatts of oil-fired generation units, to meet peak demand, and other capital investments that were planned for 2019. Duke Energy is working with the local natural gas distribution company to upgrade an existing natural gas pipeline to serve the gas plant with a firm fuel supply. Duke Energy will continue to move forward with removal of existing coal ash at the site, and permanent closure of the site's ash basins. The new transmission line and related upgrades, required for overall system reliability, will provide a more robust pathway to move additional electricity to the region to efficiently meet growing customer demand. The power plant and electric transmission projects will create a peak construction workforce of about 800 jobs in the 2017-2019 timeframe, and generate significant local property tax revenues when brought in-service. Based on current Buncombe County tax rates, property taxes from the gas power plant are estimated to increase between 35 and 40 percent after the site is modernized. "We look forward to working with regulators to provide this creative solution for our customers in the region," Yates said. "In the coming months, we'll provide area landowners with options for the new transmission line so we can find the best possible route, with minimal impact on the environment, cultural resources, homes and businesses. Community meetings and public input will be an important part of this process." Duke Energy is the largest electric power holding company in the United States with approximately $121 billion in total assets. Its regulated utility operations serve approximately 7.3 million electric customers located in six states in the Southeast and Midwest. Its commercial power and international energy business segments own and operate diverse power generation assets in North America and Latin America, including a growing portfolio of renewable energy assets in the United States.